The GROHE Allure two-handle basin mixer – modern style and premium performance! Inviting minimalist design meets cutting edge technology! With a sleek look based on the rectangle and circle, the deck-mounted three-hole GROHE Allure basin mixer with two lever handles creates a dramatic style statement in any contemporary bathroom. Packed with GROHE’s innovative technology, it is also a delight to use and comes with a handy pop-up waste and medium high spout for maximum convenience and accessibility. The minimum water flow limiter (8 l/m) saves water and energy bills without compromising performance and the gleaming GROHE StarLight chrome coating is scratch-resistant and needs only a quick wipe to look pristine and new. 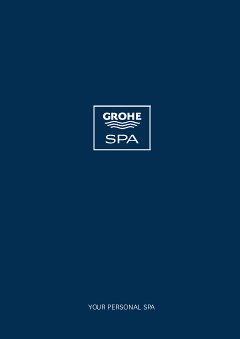 GROHE Allure – where your unique bathroom style meets luxury and functional perfection.